Do You Want More Exposure And Targeted Customers For Your Business? 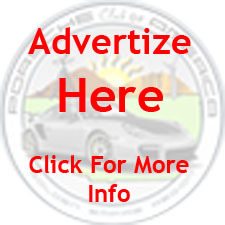 Golden Empire Region is pleased to announce new advertising options for automotive related businesses! With over 500 visitors per month to our new website, your business is sure to be seen! In addition to your ad being on the sidebar of our website, it will appear in our newsletter and you will be included in our ‘Sponsors’ page on the website with a written statement about your services. We have only a few spots available so don’t miss out! DISCLAIMER: WE HAVE MADE EVERY ATTEMPT TO ENSURE THAT ALL THE STATISTICS, OPPORTUNITIES, AND FIRMS LISTED ON THIS WEBSITE ARE HONEST, ACCURATE AND UP-TO-DATE. HOWEVER WE CANNOT ACCEPT ANY RESPONSIBILITY FOR ANY INACCURACIES THAT MAY APPEAR. THERE IS ALSO NO FORM OF WARRANTY MADE OR IMPLIED BY THIS ADVERTISEMENT OFFER AND WE HEREBY DISCLAIM ANY AND ALL LIABILITY TO ANY USER FOR LOSS OR DAMAGE OF ANY, AND IN WHATSOEVER NATURE HOWEVER IT ARISES, WHETHER IT IS AS A CONSEQUENCE OF OMISSION, ERROR, INACCURACY OR ANY OTHER CAUSE. YOU AGREE THAT OUR ORGANIZATION IS NOT RESPONSIBLE FOR THE SUCCESS OR FAILURE OF YOUR BUSINESS DECISIONS RELATING TO ANY INFORMATION PRESENTED BY OUR WEBSITE, OR OUR PRODUCTS OR SERVICES.